Mizzou’s Veterinary Health Center is a regional hub for cutting-edge, compassionate treatment, and a global leader in discovering new ways to improve the lives of our companion animals, ensure a safe food supply and protect public health. The Veterinary Health Center treats more than 17,000 patients every year in its Small Animal, Food Animal and Equine hospitals and thousands more on area farms. In addition to regular check-ups and preventive health care for companion animals and livestock, the VHC features specialized treatment such as emergency medicine and critical care, dentistry, ophthalmology, neurology, oncology, dermatology, cardiology and soft tissue, orthopedic and oncologic surgery. With an aging population of pets, VHC veterinarians are seeing an increase in the number of companion animals with cancer. To best serve these patients, the VHC is working to closely integrate the radiation, medical and surgical functions of the Oncology Service, said Assistant Professor of Small Animal Surgery Owen Skinner, BVSc, DECVS, DACVS-SA, MRCVS. “This will allow us to work as a team more effectively to give the best treatment options we can for our patients,” he said. The team approach to determining the optimum cancer treatment includes a daily morning rounds meeting comprising all of the oncology sections. This also enhances learning opportunities for veterinary students who have the opportunity to become familiar with available therapies, he said. As part of the initiative to advance cancer care, the VHC is upgrading one of the Small Animal Hospital surgery suites to use as a dedicated surgical oncology suite. 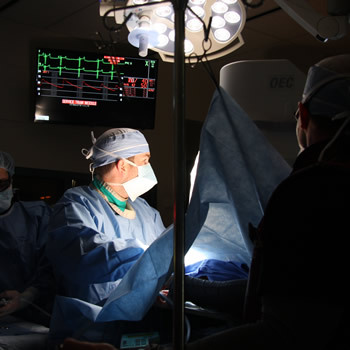 The renovated suite will include new surgical lights, a new surgical table and monitors that the medical team can use to view computed tomography images and to help guide minimally invasive procedures in real time. The renovation for the oncological surgery suite is possible in part because of a gift from a longtime VHC client, William H. Canney, Jr. Canney, a Detroit banker, has supported student scholarships for many years. 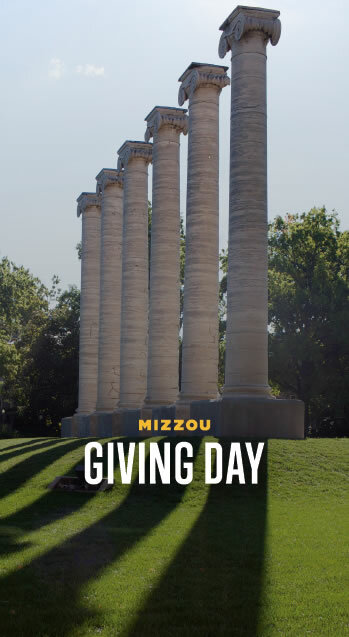 This year for Mizzou Giving Day, in addition to scholarships, he made a donation to fund equipment to enhance the VHC’s services. We have many programs that will benefit from additional financial support. Please consider making a gift to the Veterinary Health Center.